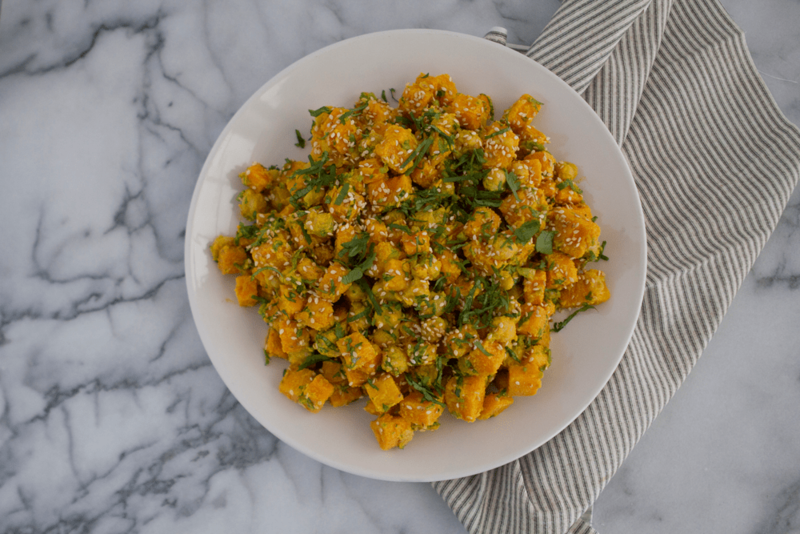 Sweet potatoes might just be my favorite root vegetables and today I’m sharing my Sweet Potato & Chickpea Salad with Tahini Dressing – also known as the salad that gets me through winter every year. What is it about sweet potatoes that I’m so drawn to them? They’re filling, hearty, and so nutritious, I sometimes forget there are other types of potatoes. This quick salad comes together with chickpeas for a protein packed meal – whether you eat it on its own or add a piece of grilled chicken or fish to it, it’ll quickly become a staple in your home. The dressing, tahini based and finger licking good, blends some antioxidant rich spices like turmeric with bright lemon juice and fresh olive oil to create a decadent but healthy salad dressing you’ll want to use on everything. Make a version of my Tahini Turmeric Salad Dressing – this one with a bit of yogurt to make it all even more delicious and protein rich. 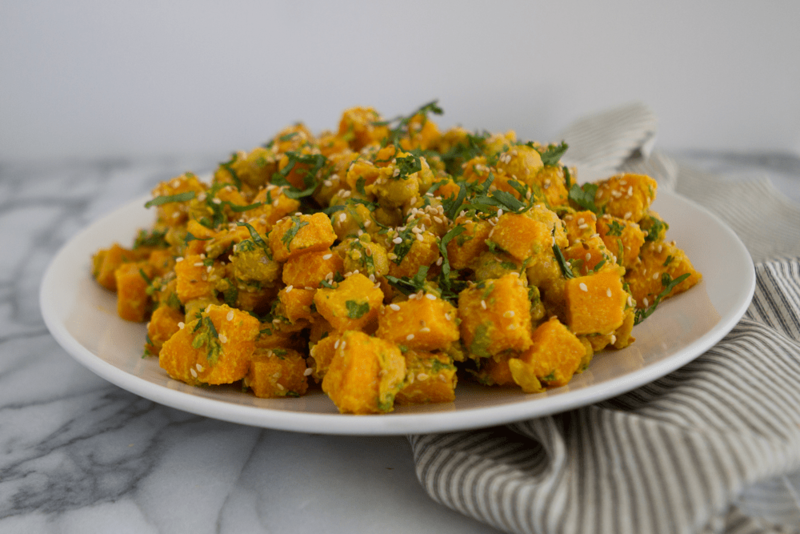 This sweet potato salad is packed with healthy fats, antioxidants, and protein to keep you full longer - give it a try this week! In a large pot with boiling salted water, cook the sweet potato cubes until tender but not mush. Let cool and mix with chickpeas. Blend the tahini, olive oil, lemon juice, and spices with either a fork by hand or a quick shake in a mason jar. Pour over sweet potatoes and chickpeas. Toss to mix and add fresh herbs. Season with salt and pepper.